Todd Jordan is the owner, program developer, and chief trainer at Jordan Detection K9. Jordan started his company in 2015 after successfully training and handling an Electronic Detection K9 to assist investigators in child exploitation, counter terrorism, white collar crimes, homicide investigations, insider threats, and drug cases. Jordan Detection K9 became well known after Jordan’s first ESD K9 "Bear" detected key evidence in Subway Pitchman Jared Fogle’s home. "Bear" later located key evidence in United States Gymnastics Coach Marvin Sharp's residence, as well as his gymnasium. Since that time, Jordan has trained twenty two ESD K9s. The K9s have been sold to departments associated with ICAC task forces across the nation. Jordan’s background in K9 handling and training began in 1997 as an Accelerant Detection K9 handler. Since 2000, Todd began training accelerant detection K9s for the Maine Specialty Dogs/State Farm Program, obtaining and imprinting the K9s, prior to being placed with a handler. He has trained twenty one accelerant detection K9s, all of which became certified through the State Farm Program or Canine Accelerant Detection Association (CADA). Of the twenty one K9s trained, eleven teams are still certified and are currently working in the United States. The other ten enjoyed successful careers, and have gone on to retire from their departments. Todd has participated in thirty re-certification courses as a handler/trainer. He has certified over forty K9 teams for CADA. He is very knowledgeable in the requirements to certify and re-certify detection K9 teams, and has over nineteen years of experience in training detection K9s. His knowledge base for training is utilizing the passive-response and food-reward system. He also has worked with K9s that are ball/toy-driven, and is able to adapt his training methods to the teams which are ball/toy-motivated, or aggressive indicators. 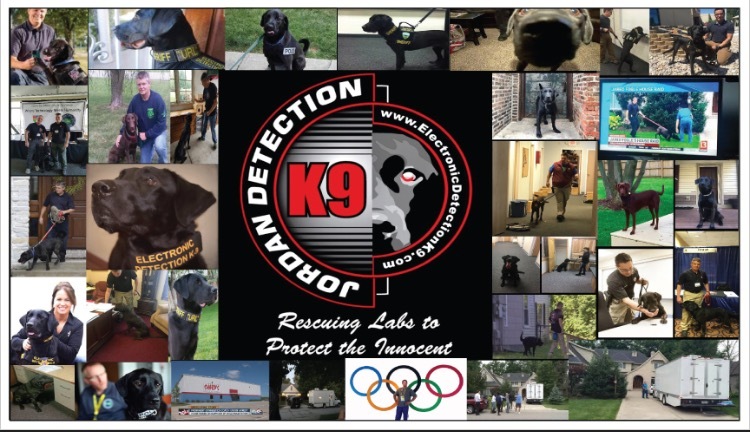 Jordan is currently working on expanding his business into other areas of detection-based K9 training, including the development of programs for utilizing detection K9s in areas of private sector business. Our K9s are hand-picked, based on their willingness to please and their willingness to work. Most of our K9s are second-career, choice-assistance dogs. We also work closely with several Labrador rescues, in order to give good dogs a chance at a fulfilling life. We believe the Labrador Retriever is the best dog to be utilized for this type of work. Therefore, that is the only breed available through our company. Given the sensitivity of the nature of the search warrants, we are also finding the Labrador to be a wonderful breed when it is utilized around children involved in cases. 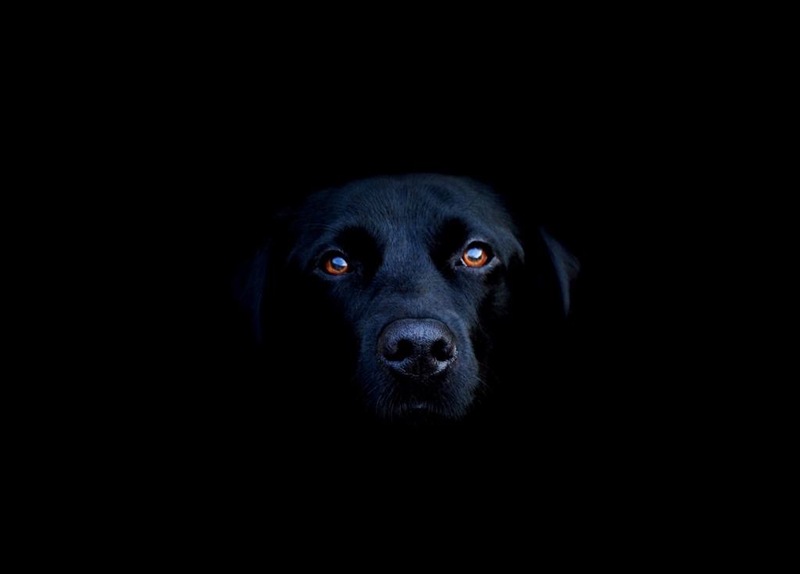 The Labrador is a friendly breed that has proven to be an asset in the de-escalation of situations involving children during warrant and questioning situations. We select dogs with high energy and hunt drives. We believe that much like humans, dogs have very individual personalities. We believe it is of high importance to match our K9's personalities with their handler’s personalities. This is imperative to form the bond that a handler needs to have, in order to allow their K9 partner to perform at a high level. We individually screen each handler to make sure we place the proper K9 with you the first time. Our K9s are ready to work prior to being placed with a handler. Todd Jordan’s experience as a K9 handler and close working relationship with local agencies provides us the opportunity to train our dogs in situations they will experience in the field. Because our K9s are thoroughly trained, the new handler will not have to attend months of training in order to begin utilizing the new dog. Our K9s are taught to methodically search an area, whether large or small, using the same technique and manner each time. This method of training ensures your K9 will complete searches the same way, each time, no matter the situation they are placed in. To obtain information regarding cost, deposits and contract information, please contact us. The cost of the K9 includes a two-week handler school in the Indianapolis, Indiana area. We can customize the handler school for an additional fee, if extra time is required. We will conduct several handler certification schools throughout the year as well, for your convenience.